It was a tweet that ended with plenty of criticism. “I had a bit of time to take stock of the first half of the season,” Mats Hummels tweeted. He then added “15 games ten wins, three draws and two defeats, nine games without conceding (60% of his games). In comparison with his teammates, Niklas Süle and Jérôme Boateng Mats Hummels conceded the least amount of goals this season. With him, in the lineup, Bayern only was scored on every 149 minutes – with Süle every 83 minutes (36% of all games) and with Boateng every 85 minutes (35% of all games). “Everyone can interpret the numbers how they want,” Mats Hummels added. A little later the tweet was gone after the defender received several criticisms from his followers, who suggested that the 29-year-old was putting himself ahead of the team. The tweet can be both interpreted as an egoistic own goal or simply as a statement of facts. However, Mats Hummels seems to be right when he points at numbers to suggest that he has been Bayern’s best defender in the first half of the season. Numbers that are further underlined by his average kicker grade of 3.25, which is, in general, considered the benchmark in Germany for Bundesliga players – Süle’s average grade is 3.27 and Boateng averaged 3.45. But at the same time, Hummels also played the fewest minutes of all three defenders during the first half of the season, ranks the lowest in duels won (according to kicker numbers) and is also the slowest with a top speed of 31.98 km/h (Süle 34.8 km/h, Boateng 33,28 km/h). It is the lack of tempo that has caused Hummels’ biggest problems with head coach Niko Kovac. The Bayern bench boss identified Hummels’ lack of speed as the Bavarians biggest weakness ahead of the DFB Pokal Final in Berlin last May. In the end, Eintracht Frankfurt would win the game 3-1 thanks to three quick counter-goals, which greatly exposed the 29-year-old’s biggest problems when it comes to defending. Kovac and many of Hummels’ teammates were also unimpressed when Mats Hummels claimed that he started against Borussia Dortmund earlier in the fall despite being sick. The defender struggled to contain Borussia’s speedy winger Jadon Sancho and later had to be substituted. 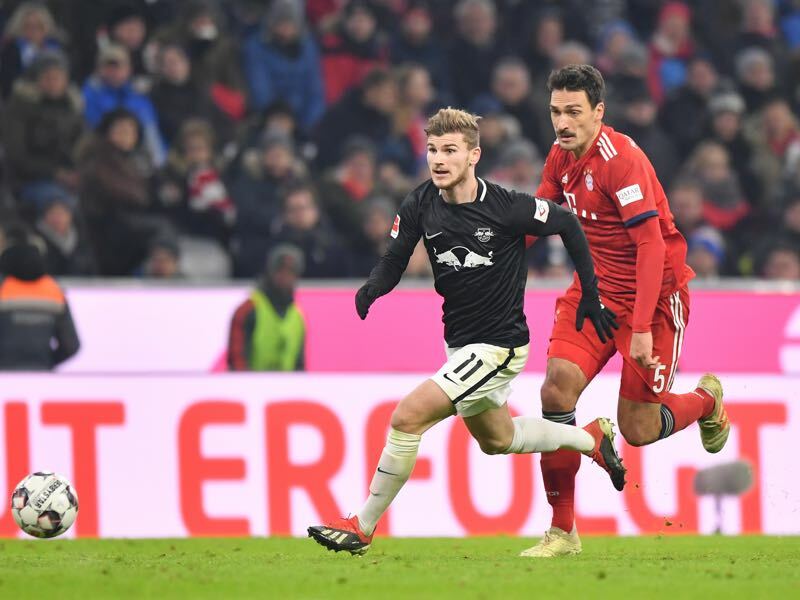 Mats Hummels declining form, in fact, is one reason why Bayern have been aggressive in the pursuit of Atlético Madrid’s Lucas Hernández despite already signing world champion Benjamin Pavard from VfB Stuttgart for next summer. With Pavard already signed and Hernández, or perhaps another defender, should Bayern fail to sign the Atlético defender, approaching the question is what will happen to Mats Hummels? Although Kovac could switch to 3-5-2 in the future and both Hernández and Pavard are capable of playing on the wing, it is unlikely that Bayern will need five central defenders under contract – six if one includes Javi Martínez. As a result, Mats Hummels has regularly been linked with a move to England where Chelsea, Manchester United and Arsenal have shown interest. The German national team defender, however, has resisted a move abroad in the past. Born in Munich, it was, in fact, homesickness that motivated Hummels to return from Borussia Dortmund to his youth club in the summer of 2016. “When I was home I didn’t understand two-thirds of the jokes because they were insiders. I laughed about them but I realised crazy I don’t belong anymore. They knew everything about each other and I didn’t know anything,” he added when speaking about his circle of friends in Munich. With this in mind, it would be difficult to see Mats Hummels leave Munich in the near future. 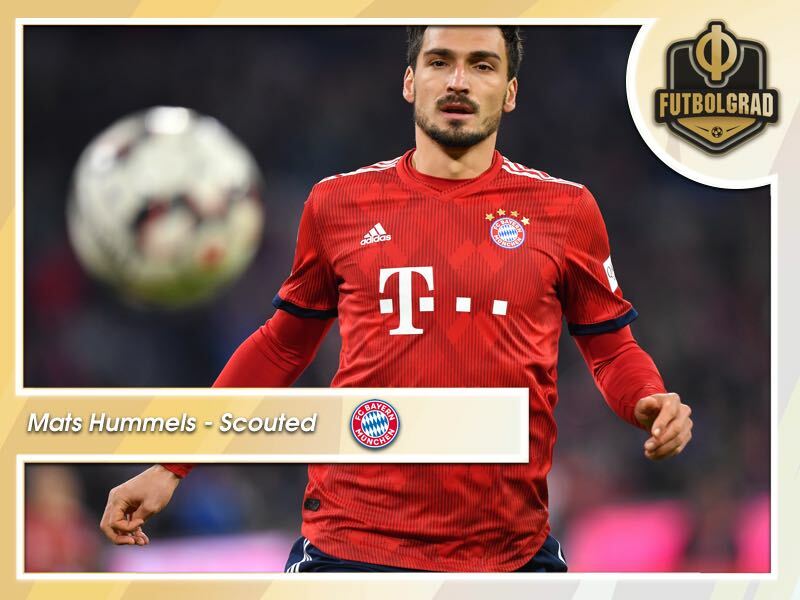 Nonetheless, with the defender turning 30 and Bayern looking to make wholesale changes Hummels might be forced into one last adventure in England or perhaps even Major League Soccer. It would be a significant move at a critical junction of his career. But should he decide to move there would be a substantial market for Mats Hummels. Despite being outclassed at times by Süle and Boateng Hummels still manages to complete 80.7% of his 100.53 on average actions per game. This season Mats Hummels has managed to complete 91.8% of his on average 78.15 passes per game. Feared for his long passes from the back Mats Hummels managed to complete 57.3% of his on average 6.16 long balls per game and also averages 6.11 interceptions per 90 minutes. Make no mistake Mats Hummels is still a world class defender and should he become available will be a hot commodity on the international transfer market.